If there’s one thing that brings hackers together, it’s the ability to build something for less money than it takes to buy it. It’s an exercise [Great Scott Gadgets] put to the test because he was playing around with some 18650 lithium cells, and had a huge need to put some tabs on batteries. This can be done by soldering, but to do it right you should really use a spot welder. Here’s the rub: you can buy a spot welder for about $250, and you can build one for a little less. So, the question: should [Great Scott] build or buy a spot welder? This wouldn’t be worth reading if he started off with an eBay order. [Great Scott] designed this spot welder around a half-dozen supercaps, all securely held together with Kapton tape. This goes through a set of MOSFETs, and everything is controlled through an Arduino, a rotary encoder, and a dirt-cheap OLED display. It’s a simple enough circuit but a bit too much for perfboard, so [Great Scott] laid out a PCB and got a few boards for under $40. A bit of solder and some debugging later, and theoretically a spot welder was created. After all that work, how did the spot welder work? Well, it didn’t. A slight misstep in the schematic meant this board didn’t have reference ground on the MOSFETs, so all this work was for naught. Of course, the only thing required to fix this board was a second board spin, as [Great Scott] probably bought more parts than necessary because that’s what smart people do. Still, he decided to cut his losses and shelve the project. Speakers used to be largish electromechanical affairs, with magnets, moving coils, and paper cones all working together to move air around in a pleasing way. They’ve gotten much smaller, of course, small enough to screw directly into your ears or live inside the slimmest of smartphones and still delivery reasonable sound quality. The basic mechanism hasn’t changed much, but that doesn’t mean there aren’t other ways to make transduce electrical signals into acoustic waves. Take these speakers made from flexible printed circuit boards, for instance. While working on his flexible PCB soft actuators, [Carl Bugeja] noticed that the PWM signals coursing through the coils on the thin PCB material while they were positioned over a magnet made an audible beeping. He decided to capitalize on that and try to make a decent speaker from the PCBs. An early prototype hooked to a simple amplifier showed promise, so he 3D-printed a ring to support the PCB like a diaphragm over a small neodymium magnet. The sound quality was decent, but the volume was low, so [Carl] experimented with a paper cone attached to the PCB to crank it up a bit. That didn’t help much, but common objects acting as resonators seemed to work fairly well. Check out the results in the video below. This is very much a work in progress, but given [Carl]’s record with PCB creations from robotic fish to stepper motors built right into the PCB, we’d say he’ll make substantial improvements. Follow his and others’ progress in the Musical Instruments Challenge part of the 2018 Hackaday Prize. If you want to integrate a nice graphical interface with a microcontroller or single-board computer for a useful piece of custom equipment, how will you go about it? MyOpenLab is a platform that makes it easy to design virtual interfaces your electronic builds. If you want controls and readouts for Arduino, Raspberry Pi, Android, or anything with a serial port, this is worth a try. MyOpenLab reminds me of LabView. Not so much modern LabView with all of its add-ons and extras, but LabView back when it did just a few things but did them really well. The open source MyOpenLab project has been around for a while. The website and documentation are not in English, which may have kept some people from giving it a try, but the software itself is available in German, English, and Spanish. I took the plunge and found the language barrier didn’t cause me trouble. As an example of what you can do, image you want to build a custom bench tool. You build virtual device (they call it a “VirtualMachine”) that uses your computer as the control panel and readout, and your electronic project as the physical interface. In myOpenLab your device will consist of two parts: a diagram and a front panel. 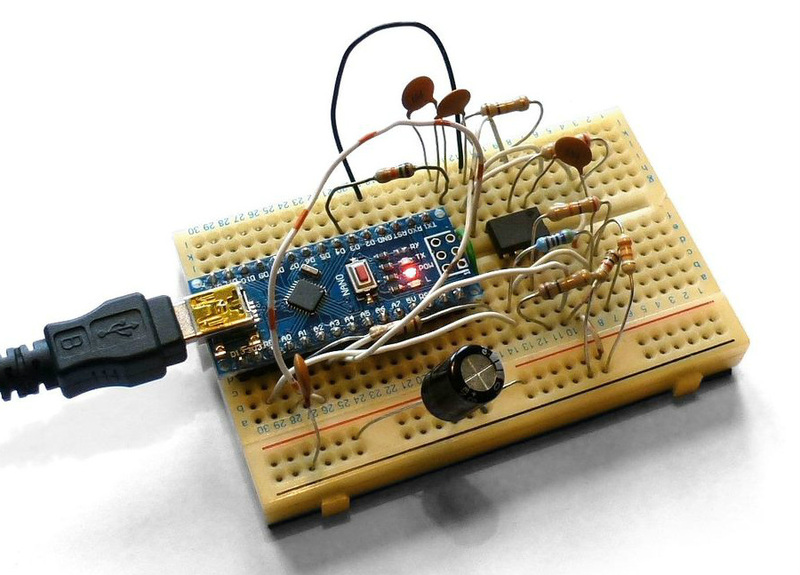 Some things only live on the diagram, like a timer or a connection to an Arduino. But some things live on both like switches, LEDs, graphs, and so on. You can connect all the little boxes together to build up applications. They can stand alone, but the power comes in being able to connect to an Arduino or Raspberry Pi (or a few other options) for I/O. The Hackaday Superconference is rapidly approaching and you need to be there. The good news is, if you play your cards right you can get your boss to sign off on sending you to Supercon as part of your professional development. This is the Ultimate Hardware Conference. This is your chance to recharge your batteries and come back energized for an amazing year ahead. You’ll be among hundreds of people who love to push the boundaries of what is possible. Dozens of talks and workshops take place over the backdrop of three days worth of a Hacker Village atmosphere focusing on a badge hacking demoscene. We’re here to help you get to yes with the powers that be in your company. If you have a tight set of requirements that dictate what counts as professional development, we have a template to use in formulating your ask. Fill in this letter with the details that work for you and head over to the corner office with this in hand. If you already have a supervisor who understands the hacker lifestyle, the best route is to show off the best Supercon has to offer. Share the playlist of talks from 2017 with them and you’re a shoe-in for your company’s conference attendance budget. And while you’re at it, try to convince your boss to come along for the fun!